Can history survive the Hulk? Spinning out of the events of Age of Ultron, Hulk goes on his most dangerous mission yet when a secret time-traveling subdivision of S.H.I.E.L.D. enlists him to save the space-time continuum! The timestream cracks under the pressure of unusual fluctuations and only the Hulk possesses the strength to hold it together - but without the superlative mind of his counterpart Bruce Banner to navigate the twists and turns of time travel, the green goliath will be lost to history! Can the two sides of the Hulk make peace long enough to survive harrowing battles with dinosaurs, cowboys and the knights of Camelot? And when he faces his own gamma-irradiated origin, will the Hulk make the ultimate sacrifice and erase himself from history in order to stop the time-traveling terrorist Chronarchists? 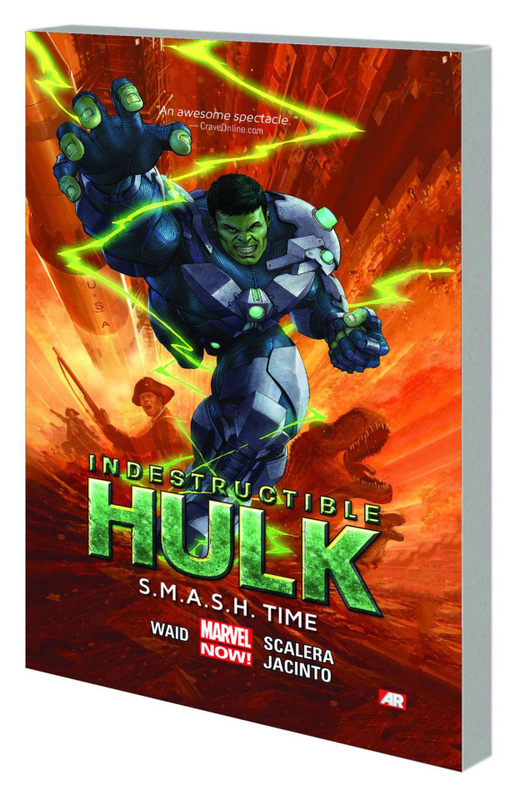 Collecting INDESTRUCTIBLE HULK #11-15.